ATP delivers the highest quality service in psychiatric evaluation and treatment consultations. Our services span across a wide variety of settings and specialties. Our psychiatric staff uses evidence-based strategies in their approach to patient care. Moreover, when it is appropriate, they also use standardized measures to guide their treatment. Our team uses the model of shared decision-making with our patients, which has been shown to improve clinical outcomes. ATP is progressive in its approach to telepsychiatry. We have a rigorous selection process when choosing board certified psychiatrists and psychiatric nurse practitioners. This process validates the successful partnership between your company or organization and ATP. 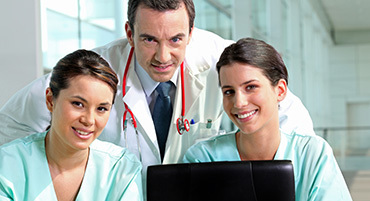 Patients and clients will receive superior services that will promote an overall healthy outcome. A robust quality assurance program has been a founding philosophy of ATP. Developed through a collaboration of experts, it exceeds the industry standard. We adhere to strict performance reviews quarterly to provide the best possible services. Our Chief Medical Officer, a nurse and three psychiatrists representing a cross-section of subspecialties, make up our Quality Assurance (QA) committee. Under this committee, we perform a QA review in 100 percent of cases of concern and a random sampling of other charts. Our approach to quality assurance begins with thoroughness and meticulous investigation to make sure our partners are being given the best of the best for their companies needs. ATP works closely with the American Board of Psychiatry and Neurology, Inc. This is to give our providers the assistance in meeting maintenance of certification requirements. All staff receives a quarterly report giving them feedback on their productivity and prescribing practices compared to their peers. The evaluation adds force to taking action within the ATP community. This evaluation reinforces positive practices. It suggests areas for professional development and it rarely, but can, result in dismissal. ATP offers immediate access to psychiatrists from anywhere in the country. Partners will avoid costly delays in psychiatric care and disruptions to the operation of the hospital or emergency department. 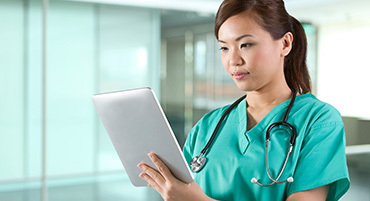 We partner with each facility throughout the credentialing process to facilitate and streamline it.